Houston Rocket PJ Tucker and stylist Paige Geran were so nice to work with. This fashion consult powered by LEVIS was shot on site at Moffett Productions stage in Tomball, TX and includes a look at the generous dressing room adjacent to the sound stage. 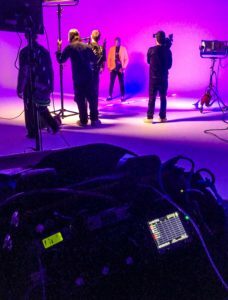 This entry was posted in Location Sound, Sports and tagged COMPLEX, fashion consult, Houston Rocket, Lectrosonics IFB, Lectrosonics SMDWB, Lectrosonics SRC, LEVIS, location audio, location sound, Moffett Productions, Paige Geran, PJ Tucker, recordist, Sneaker Shopping, Sony FS7, sound stage, Straight to Feet, stylist. Bookmark the permalink.